Do you live in the Niceville/Bluewater Bay, Florida area and are looking for an orthodontist who can provide comprehensive care for you and your family? If so, you have come to the right place! Dr. Browne is excited to work with you and your family in caring for your orthodontic needs. The Orthodontic Specialists of Florida, located at 4400 E. Highway St., Suite 103 in Niceville, Florida, is dedicated to helping you improve your appearance, while at the same time helping you and your family enjoy improved oral health. Many think orthodontists only specialize in providing care designed to help their patients have a beautiful smile. The reality is that their services are also intended to protect the health of your gums and your teeth. When teeth are misaligned or crooked, they create areas that allow bacteria and food particles to accumulate. Gaps between the teeth reduce your protection against harmful bacteria and plaque. In addition, orthodontic care improves your ability to speak clearly and to properly chew your food. In most cases, it is best for children to have traditional metal braces. They are a key part of pediatric dental care. These braces are designed from stainless steel and adhere to the front of a child’s teeth. When your teeth are crooked, it is difficult to chew or eat. Orthodontic treatment improves oral hygiene, thereby fighting tooth decay. When teeth are straightened with braces, the result is a long-term improved smile and increased self-confidence. People who live and work in Southwind, Sunset Beach, Parkwood Estates, Bluewater Bay, Magnolia Plantation and all surrounding areas choose Orthodontic Specialists of Florida for all of their orthodontic needs. Our goal is to help you and your family to feel comfortable during your visit while receiving the best orthodontic treatment available. Our mission is to create a relaxing environment and provide you with a pleasurable experience. We warmly welcome new patients to our office and encourage you to contact us to set up a NO COST initial consultation. We also offer free second opinions to clients who are considering orthodontic care. We are excited to build a relationship with you. Our goal is to provide you and your family with unprecedented orthodontic care. 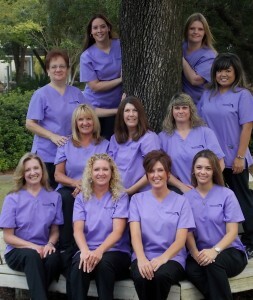 We are committed to helping you with all of your orthodontic needs. Contact us or stop by our Niceville/Bluewater Bay office today!